For the 2019 season, Lake Bluff plans to form travel teams for kids 8-14 year olds. The LBYBA requires 8 thru 12 year-old travel players to play in our spring House League to be eligible for participation on our Travel teams. 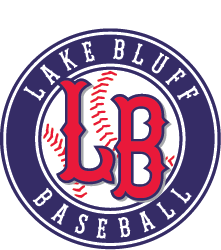 LBYBA typically places all of its 8-12 year-old travel teams in the Lake Shore Feeder Baseball League (LSFBL). The travel season for these ages generally begins with practices in early spring. The LSFBL regular season runs from early June thru end of July. In addition to the League play, many of our Travel teams will be playing in one or more tournaments. We usually participate at a tournament on or around Memorial Day weekend. Our 12 year old travel teams participate in a week-long tournament in Cooperstown, New York. This tournament typically takes place in June or early July. For more information about the LSFBL, please visit: Lake Shore Feeder Baseball League. LSFBL Age levels and "Playing up"
The LSFBL and most tournament rules establish a player's eligible age based on the child’s age as of May 1st. 8U: the player must be 8 years old or younger as of May 1, 2019. 9U: the player must be 9 years old or younger as of May 1, 2019. 10U: the player must be 10 years old or younger as of May 1, 2019. 11U: the player must be 11 years old or younger as of May 1, 2019. 12U: the player must be 12 years old or younger as of May 1, 2019. LBYBA strongly encourages children, if eligible, to play with their classmates versus playing up/down a grade. The leagues and tournaments we participate in have firm age restrictions that we must adhere to. Travel Team Fees vary by age, number of players, coaches, tournaments played, etc. Parents will be given a cost estimate after Fall tryouts. LSFBL Rules, locations, and further information, please visit: Lake Shore Feeder Baseball League.